Hillary hopes you have forgotten. Have you? – Hillary recommended Lani Guanier for head of the Civil Rights Commission. When Guanier’s radical views became known, her name had to be withdrawn. Foster committed suicide, and Kennedy was forced to resign. – In order to open “slots” in the White House for her friends the Harry Thomasons (to whom millions of dollars in travel contracts could be awarded), Hillary had the entire staff of the White House Travel Office fired; they were reported to the FBI for “gross mismanagement” and their reputations ruined. After a thirty-month investigation, only one, Billy Dale, was charged with a crime – mixing personal money with White House funds when he cashed checks. The jury acquitted him in less than two hours. – Another of Hillary’s assumed duties was directing the “bimbo eruption squad” and scandal defense; she urged her husband not to settle the Paula Jones lawsuit. —- She refused to release the Whitewater documents, which led to the appointment of Ken Starr as Special Prosecutor. After $80 million dollars of taxpayer money was spent, Starr’s investigation led to Monica Lewinsky, which led to Bill lying about and later admitting his affairs. —- Then they had to settle with Paula Jones after all. —- And Bill lost his law license for lying under oath to the grand jury. —- And Bill was impeached by the House. —- And Hillary almost got herself indicted for perjury and obstruction of justice (she avoided it mostly because she repeated, “I do not recall,” “I have no recollection,” and “I don’t know” 56 times under oath). 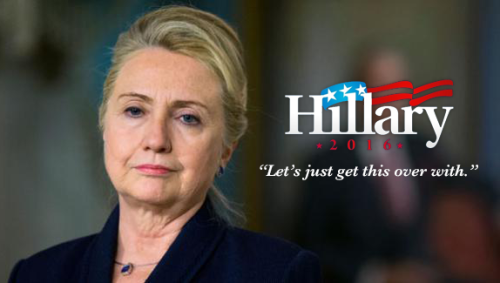 – Hillary wrote “It Takes a Village,” demonstrating her Socialist viewpoint. – Hillary decided to seek election to the Senate in a state she had never lived in. Her husband pardoned FALN terrorists in order to get Latino support and the New Square Hassidim to get Jewish support. Hillary also had Bill pardon her brother’s clients, for a small fee, to get financial support. – Then Hillary left the White House, but later had to return $200,000 in White House furniture, china, and artwork she had stolen. – In the campaign for the Senate, Hillary played the “woman card” by portraying her opponent (Lazio) as a bully picking on her. – As the junior Senator from New York , Hillary has passed no major legislation. She has deferred to the senior Senator (Schumer) to tend to the needs of New Yorkers, even on the hot issue of medical problems of workers involved in the cleanup of Ground Zero after 9/11. – Hillary’s one notable vote, supporting the plan to invade Iraq , she has since disavowed. Make sure America remembers. Pass this on.